On 3rd day of my Manipur trip, I checked out of my hotel and started walking on the street in search of a bus for Moirang. As per most of the travel blogs on Manipur, this was the place where I was supposed to get down one of the most beautiful destinations in Manipur, Loktak Lake. I wandered and found nothing. I asked a gentleman to find out the exact spot from where the buses for Moirang would leave. He suggested taking an auto, then he stopped and asked one to stop. He spoke to the driver and then asked him to leave. He tell me that this auto wala is charging INR 100 till the bus stop while others only charge INR 70. He did this twice leaving all his work to help me out and only left when I found a ride. Boats are the only medium of commute on Loktak Lake. When the boatsmen have a bigger carriage to deliver, they tie two boats together in order to fit everything. Long story short, I reached Moirang from where my homestay owner, Mr. Ashok Sampacha came to pick me up. He purchased some stuff (pork, chicken and a lot of veggies) and gave them to me to hold while he drove his scooty. Soon, we were at a point from where I was supposed to catch a boat to reach the homestay. The boat was carved out of a small wooden log and would barely fit 4 to 6 people at once. in 10 min, I was in the middle of Loktak Lake, chilling at my homestay. Life at Loktak Lake is relaxing but only for tourists. I cannot imagine the troubles of the locals who have to wake up early morning in order to catch the fishes. Lake’s mood keeps on changing. By 12 the surroundings become crystal clear only to be engulfed in fog one more time after a gap of a few hours. A fisherman examining if his trap has caught any fishes. Sometimes, these fishermen spend whole night boating on the lake. Locals examining the lake in the afternoon. Fishermen visit the lake in shifts and only pull out the nets once there is an alarm from the community. Do you notice a tiny home at the island in a distance? A bunch of tourists exploring the lake. It turned out that they were from Myanmar. Lunch time at the stay home. Manipuris love their rice and daal served with veggies and meat. The sunrise at Loktak Lake is not to be missed but only if you are able to get out of your tent in the morning. This was the island where I stayed. Look how peaceful it looks. The only way to explore Loktak Lake is on boat. My homestay had their own boats and they charged INR 100 for one trip. You should opt for a boat ride in the morning and one in the evening. This looks lika an excllent choice for the adventure seekers! The view from the top is amazing. I love visiting the local market to buy fresh veggies especially in countries around asia. This looks like a great trip out, pictures are really beautiful. I’ll defo be adding this to my list of things to do in India! A story in photography that makes me vibrate the soul because it tells not only a journey, but the life that flows. I love Himalayan range and these photos are really nice. Thanks for sharing it. Wow- the fog over the lake is simply stunning! It gives it an eerie feel that is so beautiful! That lake is simply stunning and it looks a very relaxing place. Love the fact that it is also not touristy. Is this in India? It looks like a beautiful part of the world. I am sure that the life of the fishermen can’t be easy, but at least there is some tourism in the area that they hopefully benefit from. Beautiful pics! I travel for food too and especially enjoyed the food and market photos on your post! This looks like a peaceful and relaxing trip. I would enjoy the fishing and scenery. Enjoy your travels! Your pictures are so amazing! They make me want to travel there! These are gorgeous pictures, and this looks like a wonderfully peaceful place to visit. Thank you for sharing your trip! Oh wow! I didn’t even know this place existed and now it is definitely on my list of places to visit soon! I love that you included the aerial photos and the info about the food! Thank you! Looks like a serene and relaxing boating experience. The lake looks very calm and peaceful. In contrast, I only rode a boat without an outrigger twice, it was a bit scary for me to take on a river with strong currents, lol. The pictures are so inviting and makes me want to visit for sure. It looks like a place to go and relax and be at peace. This is positivley a lovely place to venture to.. the idea of fresh food, tradition. Very beautiful. Brilliant pictures – enough to take one’s breath away. I am curious that there is a second layer of fog after the first one lifts up. It must require lots of patience to sit and fish for the entire night. Hats off to that resilience of the villagers. The etymology of Loktak is Lok = “stream” and tak = “the end”. I have been to Manipur before but had missed visiting this largest freshwater lake in Northeast India. All the images of the lake and the phumdis floating over it look beautiful!! Absolutely beautiful pictures. I love how you have captured the lake in different lightings and at different times of day. The people pictures are superb too, you are great at capturing personality. I never knew about Loktak Lake but it looks absolutely stunning. 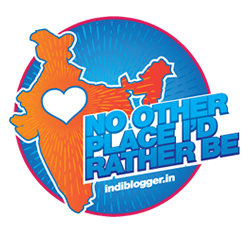 I’m planning a trip to the Northeast of India in April and will definitely check it out! I’m so glad I came across this article. Beautiful photography. I must say you have great talent. Impressive. These are the most amazing pictures you have taken, they really capture the area and atmosphere. With its countless floating biomass and distinct landscape, Loktak Lake looks mesmerizing. Visiting Keibul Lamjao National Park and staying in a traditional house with locals sound like a unique experience. It does look pretty great out there at the lake. I think it’s great they are doing eco-friendly fishing methods. The whole place looks beautiful and serene. These are first pictures of Manipur…. Incredibly beautiful. Detailed post.